How can you help your employees meet their own goals? Posted on February 6, 2017	by Rachel L.
By setting goals, your employees are likely to be more motivated. 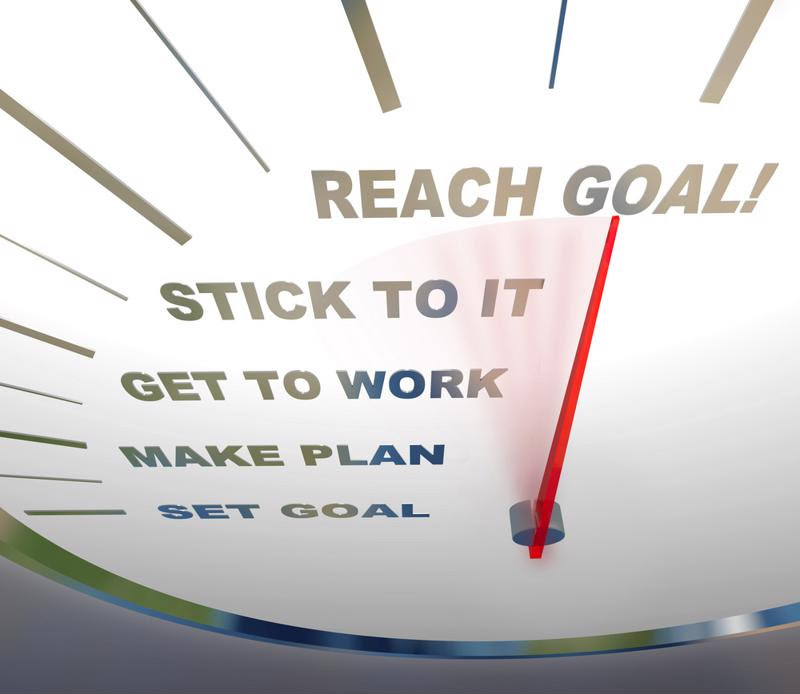 Does your company’s management regularly set goals for employees? It should. Employees want to have fun at work. They want to be engaged, and they have a strong desire to push themselves to be better professionals and – just as important – better people. After all, on average they spend 47 hours of their week in the workplace, according to Gallup. You need to make sure they’re using their time to better both themselves and your company. Unfortunately, many employees don’t know what their managers expect of them, reported Gallup. And only 38 percent of managers help their staff members set priorities. While it’s difficult to determine exactly how these percentages could damage a business’s bottom line, it’s not unfathomable to think that they do. Employees who aren’t engaged at their jobs are more likely to look for other job opportunities outside of their companies. In turn, this increases hiring costs – the average cost to replace a highly educated executive was 213 percent of the professional’s annual salary, according to a report by the Center for American Progress. Can your business take on that kind of water? Most can’t. Employees who are engaged are less likely to leave, so companies must find a way to increase their engagement. It’s important that employers help their employees set goals. If your company has thousands of employees, don’t fret. Talk to the head of each department and ask these leaders to meet as a team with their employees to discuss setting both team-wide and individual goals. Having an entire department on board with this idea is a great way to motivate and encourage workers to push each other to improve. Along with setting goals for your department, leaders should meet with employees one-on-one and discuss individual objectives. They can meet each week, month, quarter and year. This is the perfect way to keep them engaged, focused and on track. Establishing goals is a great way for managers to evaluate employee progress and provide better advice about career development and ways to improve. We wouldn’t be shocked if many employers actually set and forget about these types of goal-oriented plans. We know everyone is busy, and it’s often difficult to find the time and resources to see goals through. But we must continue to monitor our progress. If you truly want to keep your employees motivated, cut costs and improve the bottom lines, you have to help your departments and employees exceed their goals. Set quantifiable goals: Rather than make a goal to “improve sales numbers,” set an actual, measurable goal such as “improve sales numbers by 10 percent over two quarters.” This gives your sales team something concrete to strive for. Set qualitative goals: Qualitative goals are based more on how your employees feel than their ability to meet some sort of quota. For example, you might give each of your employees a survey asking them how engaged they felt or whether they’re more motivated in the morning or afternoon. Keep lines of communication open: Managers don’t need to wait weeks or months before they analyze how their goal-setting agendas are performing. They witness team performance every day. They should constantly give their employees feedback and recognition. Encourage managers to use a journal to keep track of improvements or setbacks. This will allow them to make adjustments on the fly. It’s not difficult to set goals, but it does take time, patience, resources and support from upper management to do so. If you’re not sure where to start, begin by creating a report to C-Suite executives that includes much of the information we included here. Tell them why it’s critical to set goals and use statistics to back up your claims. Next, suggest specific improvements and how the plan would be integrated into each department. Finally, discuss how managers would monitor the plan’s progress (and for how long), and how it’ll positively affect the company’s bottom line. If you’d like to learn even more about how you can help your employees, check out Mastery TCN’s online courses. Here you’ll find a suite of training courses you can use to make sweeping changes across departments. Remember, the more time you invest in your employees, the more likely it is they’ll invest time into your company. This entry was posted in Professional Development and tagged goals, setting goals. Bookmark the permalink.